Never filed for Affordable Care Act compliance? There is help. The Affordable Care Act was passed on March 23, 2010 and employer compliance requirements began in the 2015 tax year, yet many employers have yet to comply. Are you one of those employers with your head in the sand? Many employers have been, and continue to be in denial that the IRS will enforce the mandate of the ACA for employers to offer compliant, affordable health insurance to their qualified employees. In 2016, after the election of Donald Trump as President and seeing a Republican controlled Senate and House of Representatives, employers were lulled into complacency and used the political rhetoric of the day and health insurance instability to justify their inaction. The Executive Order signed by President Trump muddied the compliance field further as did the many repeal & replace legislative activities. As a result, many employers are still not in compliance with the ACA. 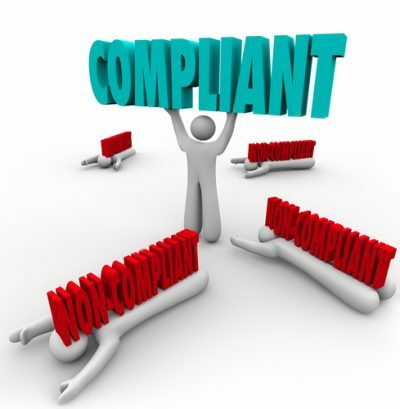 Each day, employers are coming to the realization that compliance is no longer optional. As far back as January of 2017, it was clear that the ACA penalties were coming and could reach $31 billion per year. If you are one of the employers who believed that they could avoid compliance, think again. You need to file; the penalties are coming. We have helped several employers deal with penalties for not filing their required ACA forms and for not fully complying with the ACA requirements. As these non-filing employers came to realize, ACA compliance can be challenging, especially when attempting to get into compliance after years of avoidance. Remember, there is no relief for intentional non-compliance with IRS regulations. That’s where Integrity Data has come to the rescue for many employers, assisting them not only with their current year compliance activities, but going back and getting their filings completed for prior years. For many of these employers, we found that they had a strategy that met the minimum compliance requirements, they just didn’t complete their annual required IRS filings. As a result, they were putting their organization at risk of multi-million dollar penalty assessments. Now we are finding that the mid-term elections have caused more and more employers to finally decide that it’s time to begin complying with the ACA. Do you need help? If so, we have several options that make compliance easy. Whether that is providing you a solution to complete your filing activities on your own, getting a little help from our team, or throwing it over the fence for our team to complete on your behalf. We are here and ready and we can get started today. Contact us for more information.